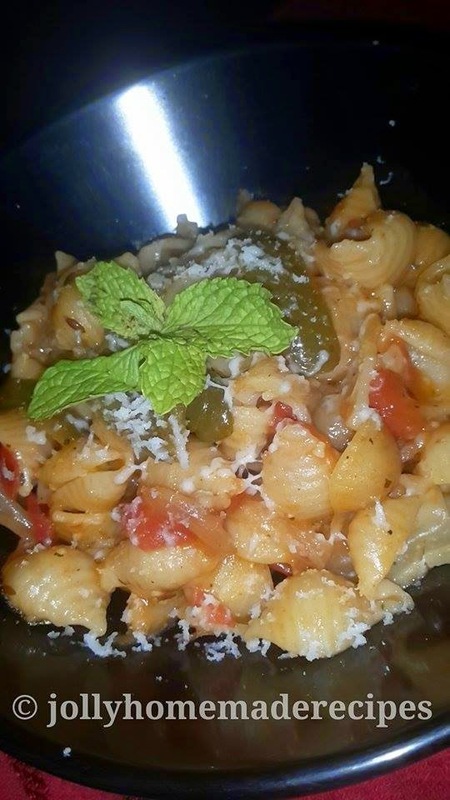 Pasta is our all time favorite recipe and you can make any variety of pasta for the dish – I like small shell pasta as it seems to have a very nice crunchy texture and also has more surface area to absorb the flavors of the sauce. 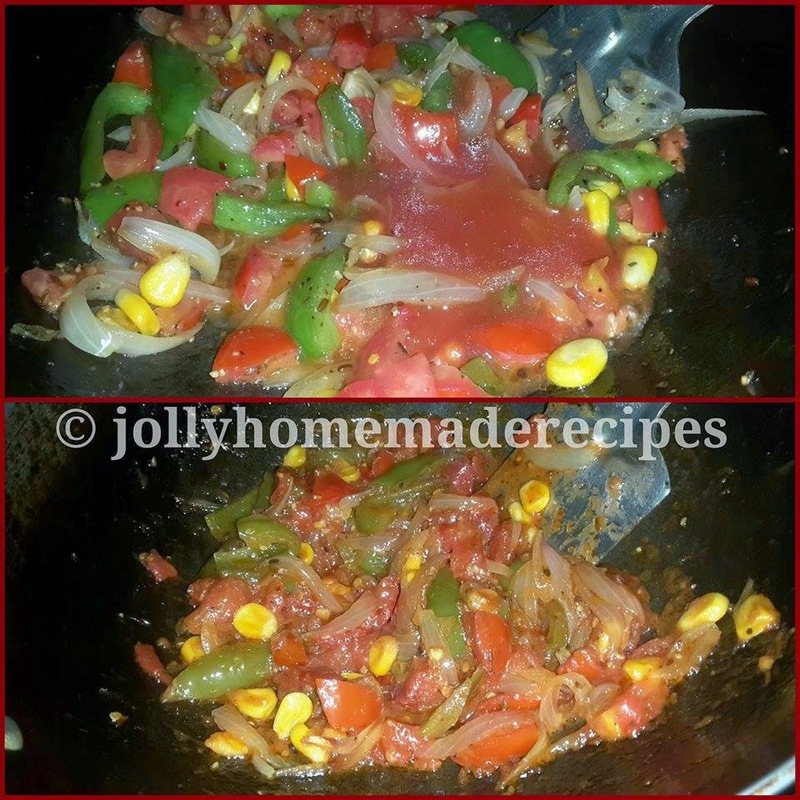 It turned out to be such a wholesome, hearty and finger-licking-delicious dish and takes under 30 minutes to prepare. 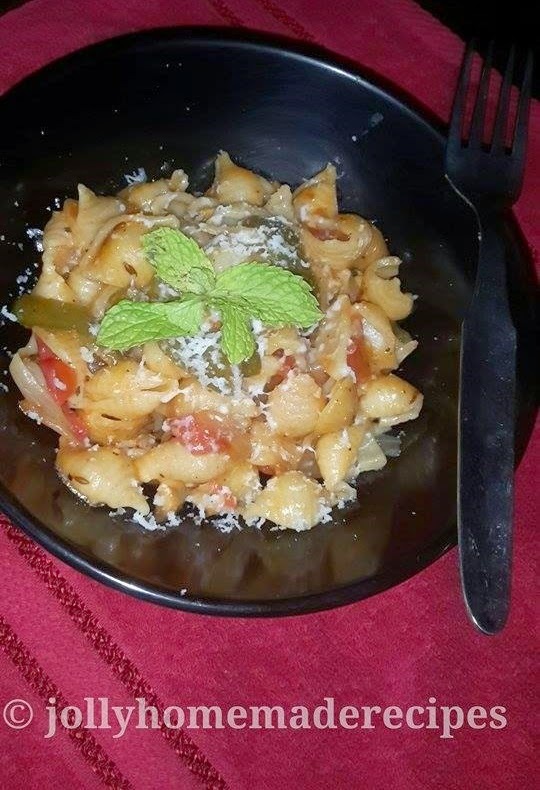 The ingredients were all familiar from the popular Italian dishes and I though it was good enough a substitute for me to get started with try to some Italian recipe. This turned out to be an awesome. Every time a recipe calls for basil or oregano or chili flakes, I just use some of this seasoning. 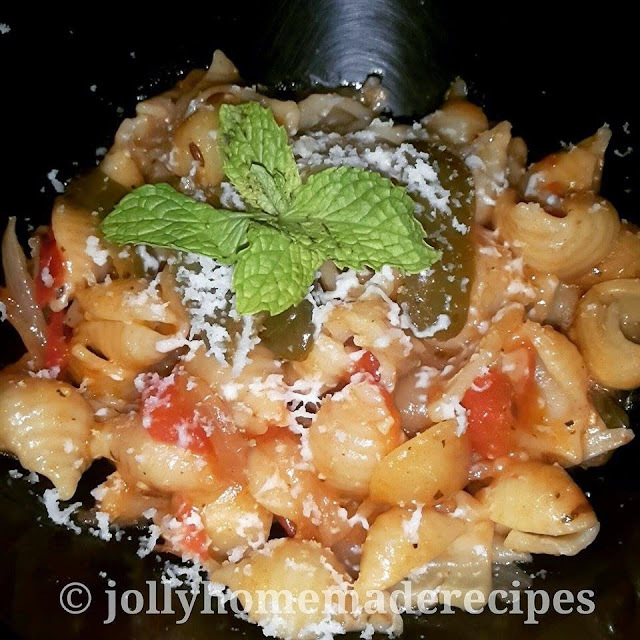 If you are looking for similar recipes then do check veg macaroni-pasta in tomato sauce , pasta tomato sauce and homemade vegetable pizza recipe from scratch. 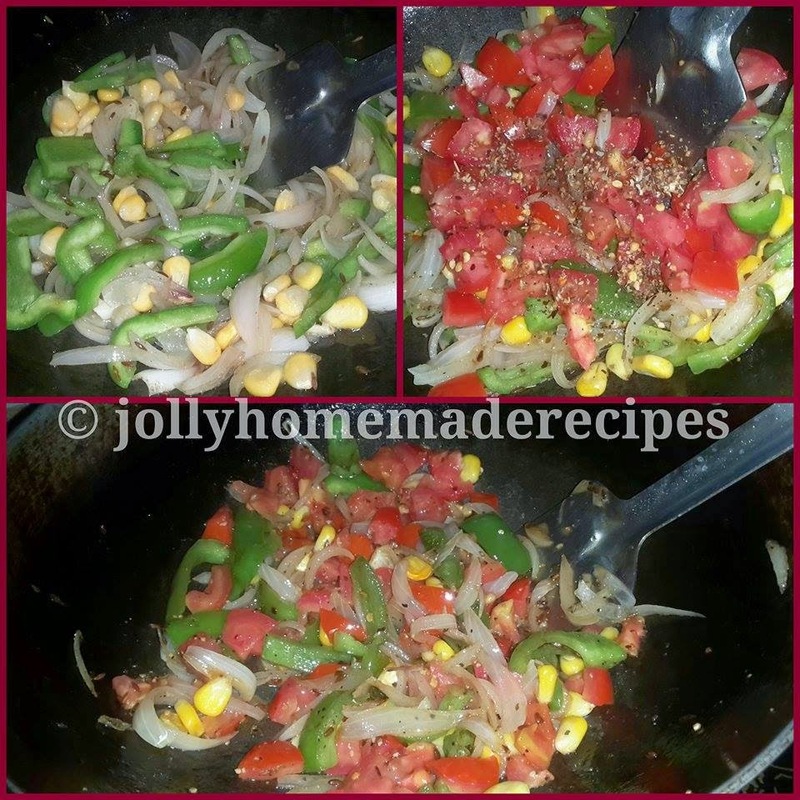 An easy recipe of shell pasta with veggies in tomato sauce. 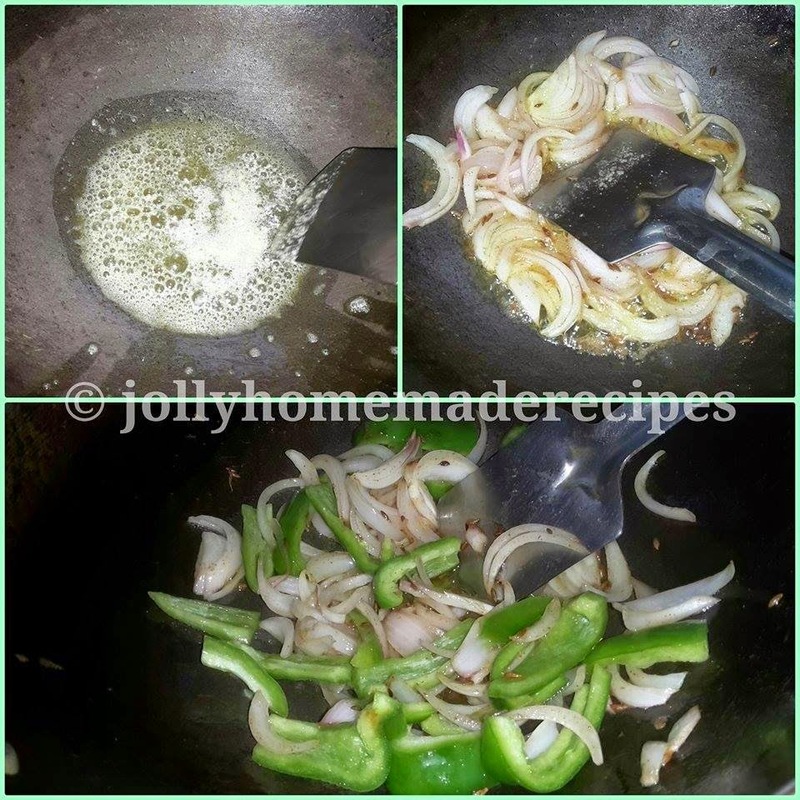 Let's start to make this easy and quick recipe with simple step-by-step process. 2. Heat some butter in a heavy bottomed pan. On medium heat, add the jeera (I used cumin seeds to touch the Indian taste in Italian pasta, its optional) garlic and saute for 30 seconds until cooked, Once garlic will infuse its flavor then add the chopped onions & saute till translucent pink. 3. Add the vegetables, cook for 4-5 minutes on medium heat till crunchy. I used capsicum. Add the tomato sauce, check and add more salt if needed. Cook for another 3-5 minutes or until the vegetables are done but have a little bit crunch left in them and the liquid in the sauce has reduced to desired consistency. 1. Add the cooked pasta shells, and mix it into the sauce, cooking for a couple of minutes and then turn off the heat. 2. 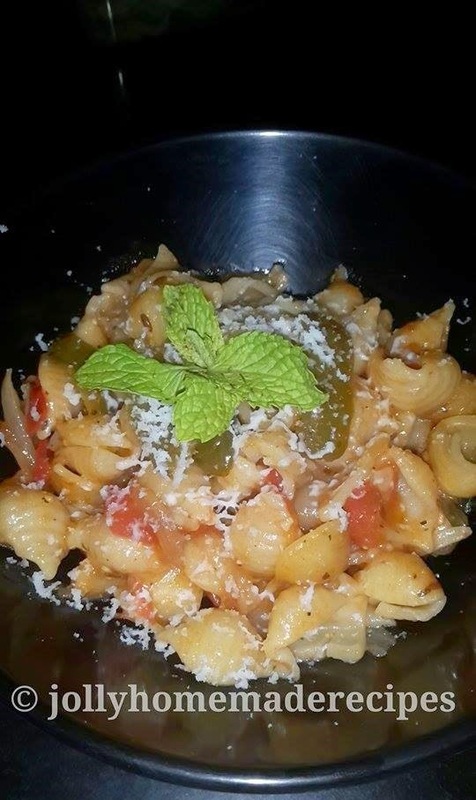 Ladle the saucy pasta into serving dishes or bowls and add the shredded mozzarella cheese on top (about 1-2 tbsp per serving or to taste) for garnishing. I love pastas and this looks Yummy, tasty!